United States Capitol Police arrest a protestor that crossed the police line that has been set up on the west lawn of the Capitol. 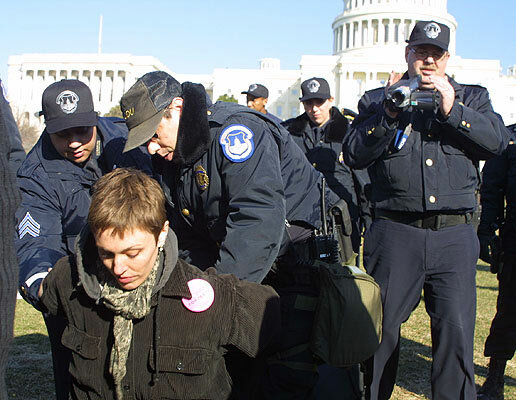 March 9, 2003 - United States Capitol Police arrest a protestor that crossed the police line that has been set up on the west lawn of the Capitol. Police have allowed the protestors to gather on the lawn, however, they are not permitted to cross the police line that has been set up, or face arrest.